I am excited and honored to be part of the Let’s Face It 2018 team! 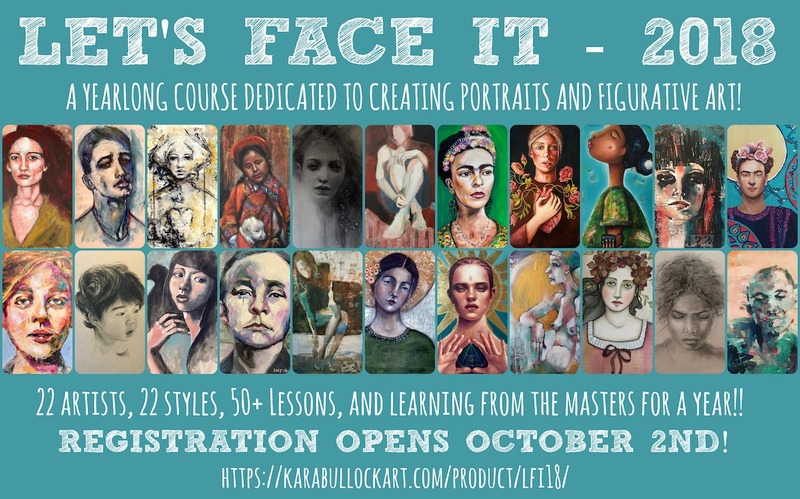 Let’s Face It is an online course created and hosted by the very talented artist, Kara Bullock. If you enjoy creating portraits and figurative art (or would like to try but are scared or intimidated), this course is for you! 22 artists will share their strategies, tips and techniques for creating faces and portraits throughout this yearlong course. You will leave the course feeling confident enough in your skills to never feel intimidated again! In 2018, we will be studying different art movements and master artists from those periods! This course is not open for registration yet but you can click on the link below to find out all about the classes and the teachers involved!